Phan Thiet, the pride of Binh Thuan tourism, attracts domestic and international tourists by its moderate coastal climate, delicious seafood, exciting sea sports, beautiful landscapes, friendly people and many historical, cultural, architectural attractions in inner Phan Thiet. Sea Links City which is located on the untouched bay of Mui Ne, just a short distance away from Phan Thiet, is a world level complex resort including a 18-hole world class golf course which has been described by golf specialists and leading golf writers as one of the most challenging links style golf courses in Asia. 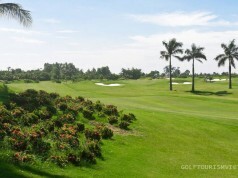 Sea Links Golf and Country Club in Phan Thiet is the first links golf course in Vietnam. Situated on a cliff and sandy dunes at the elevation of 60 metres above sea level, the course offers simply breathtaking countryside and amazing views of miles and miles of gently sloping sandy beaches below. 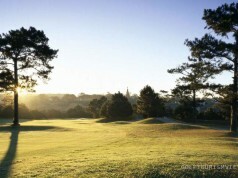 The course has a perfect golfing climate, it is never too hot & never too cold and golf can be played all year round. 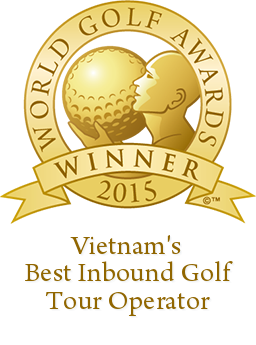 Playing golf here means you will never need to worry about the bad cold weather of the North Vietnam or the heavy rain of the South. The 18-hole Course, designed by golf course architect Ronald Fream, had a lot of natural features that didn’t require much shaping other than bunker work. 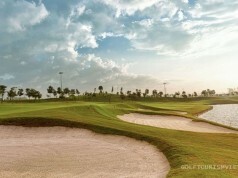 It was simply routed through the existing sand dunes and left to be a natural, links-style course. Set in rolling terrain, the fairways are wide and tree lined while the greens are large and well protected by bunkers and water hazards ensure that high levels of accuracy and skill are required to achieve a ‘championship’ score. Athough the fairways are wide, a well struck tee shot should target the position on the fairway that provides the player with the best angle to approach the green. As the British golf writer Henry Longhurst observed, “On every shot, whether a short pitch or a full drive, you must step back and say, ‘Wait a minute, what exactly do I want to do here?’” The player needs not only golf skills but also imagination. Roller-coaster fairways present a host of shot-making posers, while a back-tee length of 7,671 yards will challenge the most experienced golfers. With various tee positions, it offers plenty of challenges for all, whether you are a complete beginner or professional player. One of the best things about playing golf is taking in the surroundings. It’s peaceful, it’s serene. To walk beside the sea with the salt on your tongue, the sea breeze on your cheek and firm, sandy turf beneath your feet, there’s more of a rhythm. You have time to thing about your next shot. Sea Links Golf and Country Club is well serviced by many excellent resorts, hotels and restaurants. In addition to the golfing enjoyment, also savor the beauty of nature via the panoramic views of Mui Ne Bay, the region offers a wide range of outdoor activities from Sky kite flying, tracking on dirt roads or spectacular mountain raids. 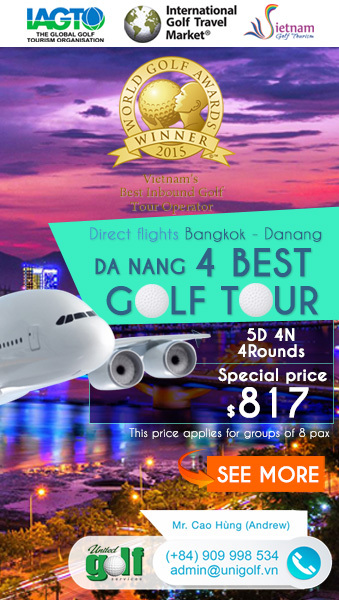 Address: Nguyen Thong Street, Phu Hai, Phan Thiet, Binh Thuan, Vietnam.